Moving your home and family can feel like an overwhelming challenge, but with the expertise of Coast Valley Moving & Storage, it doesn’t have to be! Since 1972, our Woodbridge movers have simplified the moves of families and individuals across the country, offering high-quality relocation services for fair and competitive prices. Whether you’re looking for some budget-friendly help or a complete package with crating, transport, unpacking, and debris removal, Coast Valley has the wide array of services for you. By choosing Coast Valley for your upcoming household move, you can expect only the highest levels of service from proficient movers in Woodbridge. With over 40 years of experience, our BBB-accredited, ProMover-designed company knows what it takes to complete any relocation with ease and efficiency. Because we’re a proud agent for Wheaton World Wide Moving, we bring with us the global support of a leading moving network! From California to the East Coast and across the ocean, we can take you anywhere you need to go. Interstate Movers: Heading across the country? Trust us to get you to your new home on time and under budget! Through our Wheaton affiliation, we have access to state-of-the-art equipment and technology. Military Movers: Our movers in Woodbridge are skilled in the complexities of military moves, helping servicemen and women from Camp Pendleton and beyond. Packing Services: From pianos and bulky furniture to antiques and fragile equipment, we’ll custom-crate and wrap your valuable household belongings to guarantee a safe delivery. Storage: Our secure, climate-controlled facilities are available for both short- and long-term storage, with fire and theft alarms to keep your precious items safe. 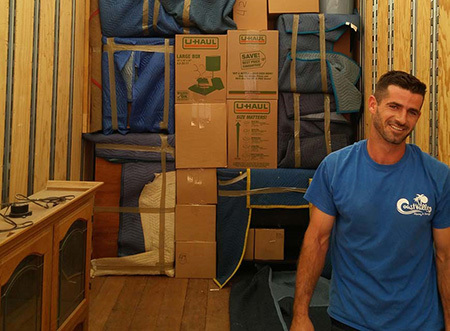 For more information about our services, get in touch with Coast Valley Moving & Storage today! Call us to discuss your relocation with one of our professional Woodbridge movers, or submit our online form now to get started with a free moving consultation and cost estimate.